Add Sunlighten Sauna Sessions to Your Massage in Leesburg, VA! If you love treating yourself to a massage in Leesburg, VA, then we have some amazing news. No need to go elsewhere to get you sauna fix — Awakenings Spa Boutique is now offering Sunlighten Sauna sessions! At Awakenings Spa Boutique, we always want the best for you. That’s why we chose only the finest sauna available to complement our massage services. Adding a Sunlighten sauna session to your favorite massage magnifies the relaxation and health benefits you experience. Even on its own, however, spending time inside a sauna improves well-being in many ways. If you’re trying to lose weight, it’s a great idea to add a sauna session to your fitness routine. Thanks to the intense heat, a Leesburg spa sauna gives you the same benefits as moderate exercises like jogging. Studies have also found that you can burn as much as 600 calories just by relaxing inside a sauna. Whether you’re suffering from chronic conditions like fibromyalgia, or simply want to ease the pain of stiff muscles, you’ll enjoy the natural pain relief that infrared saunas offer. Infrared heat can penetrate joints, tissues, and muscles for up to two inches. This loosens up knots, muscle spasms, and reduces soreness on nerve endings. In fact, many pain management professionals and doctors recommend Sunlighten saunas to help patients get relief from arthritis, chronic fatigue syndrome, sports injuries, and more. You’re not just flushing out water when you sweat profusely inside a sauna. Infrared heat makes your core temperature rise. This leads to detoxifying sweat at the cellular level, flushing out toxins and other unwanted substances in the body. When you sweat inside an infrared sauna, you will experience reduced diastolic and systolic blood pressure. This is key to maintaining good heart health. Along with lower blood pressure, infrared saunas also trigger increased blood circulation. This allows the blood to deliver nutrients and oxygen efficiently to every part of your body so that all your systems run smoothly. Struggling with break-outs? Complement your beauty routine with a trip to the sauna. The near-infrared wavelengths of an infrared sauna heal the dermis and epidermis layers of the skin. It also stimulates the production of collagen, one of the most important factors of a youthful, clear complexion. Whether you’re a long-time fan of saunas or just starting to discover its benefits, spas in Leesburg are a wonderful place to pamper yourself. Sauna sessions perfectly complement our massage, facial, and skin therapies here at Awakenings Spa Boutique. To help you save on multiple sessions, you can avail both packages or single sessions in our Sunlighten saunas! Use this link to book an appointment, or call 703-728-6508 to inquire about our discount packages or prices and availability for your location. 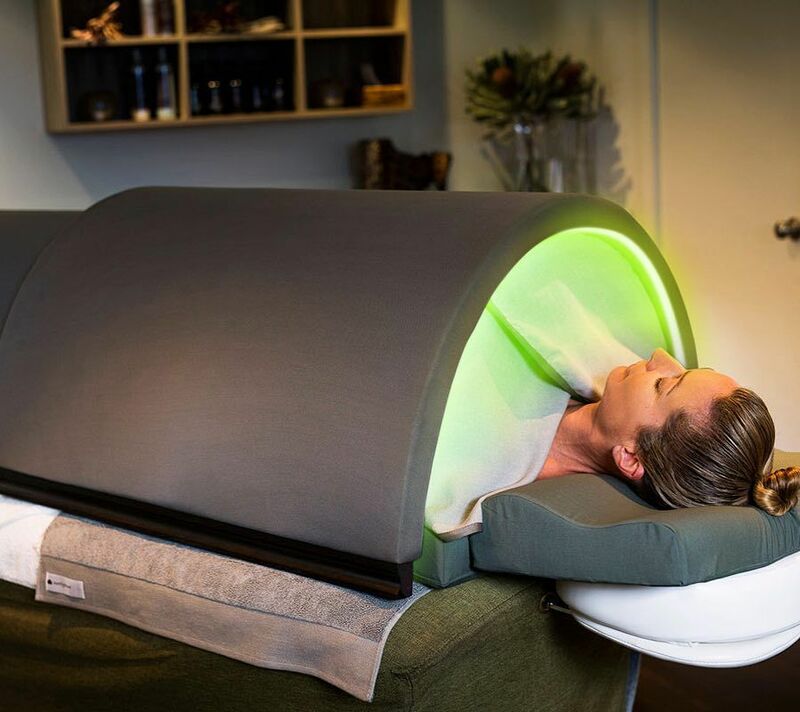 https://awakeningsspaboutique.com/wp-content/uploads/2019/01/sunlighten-sauna.jpg 800 899 Awakenings https://awakeningsspaboutique.com/wp-content/uploads/2016/04/Awakening-Massage-Logo-300x186.png Awakenings2018-12-26 10:02:232019-01-22 14:11:28Add Sunlighten Sauna Sessions to Your Massage in Leesburg, VA!